" I am going to destroy the power that they hold over you!" The Doctor, Steven & Dodo are trapped in the gas filled corridor by the guards who demand the light guns back. Jano observes from the control room. A door opens allowing them to escape. Edal believes Jano has freed them. Jano decides to lead the patrol pursuing them. Chal finds the travellers and helps Dodo & the Doctor to safety in the caves while Steven stays behind to hold the guards off and engages Edal & Jano with the light gun. Back at the caves Tor wishes to kill Exorse but Nanina defends him as Chal, the Doctor and Dodo arrive, followed by Steven who is pursued by the guards. Given a clear shot Jano refuses to take it. The give the Doctor the medicine they gave the Savage earlier, and he tells them not to harm Jano. 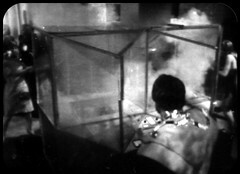 The Doctor vows to destroy the Elders' laboratory and equipment. Edal returns to the city and tells Senta that Jano has been left behind and they think he has betrayed them. Jano enters the caves and speaks to the Doctor. 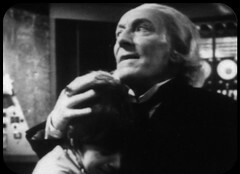 The Doctor explains that he has acquired a conscience due to his exposure to the Doctor's life force. Exorse escapes the caves and runs towards the city but Nanina runs after him to persuade him not to give them up. Senta reveals what Jano has done and Edal assumes command. Exorse arrives back at the city but denies having seen Jano. The Savages and Time Travellers arrive at the city seemingly herded by Jano. Jano is angry to find his place usurped and has Edal arrested. Jano and the Savages destroy the transference equipment. Edal enters with guards, attempts to kill Jano but is shot down with Steven. 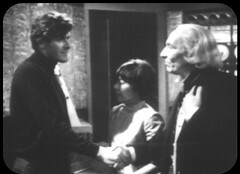 Jano and Chal realise they need a new leader to mediate between them: they ask Steven to stay and fill this role and he accepts bidding farewell to Dodo and the Doctor. The Doctor tells Steven how proud of him he is, as he leaves for the Elders council chamber and The Doctor & Dodo for the Tardis. JANO: This is only the beginning, Chal. After this destruction, our people must learn to build a world that they can both live in. CHAL: And both sides must learn to trust each other. JANO: We may need a new leader. Somebody who can unite us. DOCTOR: Jano, since you have destroyed the power you held over Chal and his people, you realise now of course, you've got to learn to live together. JANO: Yes, but the fear and hatred of the past will only die slowly. We need someone like yourself as a mediator until we have become one people. DOCTOR: I see. But in my case I'm afraid that is utterly impossible. JANO: The man we need must inspire trust. His judgements must come from his heart, even more than his head. CHAL: Here is the leader we want, Jano. JANO: This is what I thought. STEVEN: Just a minute. I couldn't. DOCTOR: A great honour, dear boy. STEVEN: But I can't walk out on you and Dodo! DOCTOR: Just think of the challenge to be able to set up the people of this planet for a new life. You're quite ready for this task. STEVEN: You think I can do it? DOCTOR: Yes, I do. And you're the only man who can, my boy. STEVEN: Has the offer come from both sides? CHAL: You would give us new hope. Our people will become great again. We will learn to live as equals without bitterness. TOR: I should accept your decisions. STEVEN: Very well. I will stay. Offering the leadership to Steven comes a bit out of left field. I suppose he did strike the crucial blow in the previous episode by obtaining the light gun. He also showed mercy for Exorse, preventing Tor from killing him so has done things that would earn him credit from both sides here. But up until this point he's very much taken a back seat in this episode. STEVEN: I shall miss you both, Dodo. DODO: I shall miss you. DOCTOR: Thank you, Jano. And if ever you need the benefit of my wisdom again, I trust and hope you will allow me to express myself with my own free will, rather than place me in an oven, and try and cook it out of me. JANO: Come, Chal, we must summon our people. There is much work to be done. We shall await you in our Council Chamber. DOCTOR: Well, I must say, young man, I'm very proud of you. DOCTOR: I know, I know, my boy. Well, go on, you mustn't keep them waiting. DOCTOR: Goodbye, Steven, and good luck. DODO: Doctor, do you think we'll ever see him again? DOCTOR: Well, who knows, my dear. In this strange complex of time and space, anything can happen. Come along, little one. We must go. We mustn't look back. If the Savages is known for anything it is "The one where Steven leaves". But there's much more to it than that with the almost vampiric existence of the elders and something genuinely nasty happening to one of the regulars. With this and the climax of Dalek Masterplan you can see where the series gets it's reputation for being scary from. You kind of get the feeling as well that the Doctor almost knew what would happen to Jago before he drained the Doctor's life force. Good stuff. Speaking of which this is the second time this season the Doctor has been subjected to a major trauma: he was exposed to the Time Destructor in Dalek Masterplan and then has his life force drained here. It's almost as if the program is setting up what is to come in a few stories time. And yes, it is the last story with Steven, who is probably my favourite Hartnell companion. It was the production team's decision to get rid of him. There's very much the feeling that they're looking for a fresh approach as the entire main cast changes over this and the next three stories. 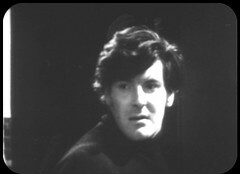 As we've recounted earlier Peter Purves was unemployed for some while after leaving Doctor Who. 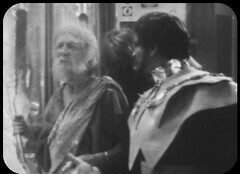 He blamed his bad luck on holding onto the Trilogic game prop from The Celestial Toymaker. The week after he binned it, he got the Blue Peter gig which changed his life. With the production team having changed already this season this departure marks the start of significant changes in front of the camera. This story marks another important last: It's the last alien planet the first Doctor is seen to visit. His three remaining stories are all set on Earth. Hartnell's been to (deep breath) Skaro, Marinus, The Sensesphere, Dodo, Vortis, Xeros, Aridus, Mechanus, Galaxy 4's unnamed planet, Kembel, (Stroud, Stonehouse, Gloucester, Cheltenham Spa.... sorry, I can't help giggling when I hear the planet name Kembel and I didn't get to use that joke when talking about Dalek Masterplan), Desperus, Mira, Tigus, Refusis 2, The Toymaker's Domain and finally the unnamed world of the Elders & Savages. The only planet other than Earth he's visited more than once is Kembel which he materialises on at the start of Masterplan, leaves and returns by Spaceship, leaves in the Tardis and then returns after several other stops. Bet you can't guess which is the first planet, other than Earth, that he visits in two separate stories? And which the first planet, other than Earth & Kembel, that the Tardis takes him to twice? (Yes the Tardis took him to The Ark twice in the same story but that's no planet) Oddly the first story in which the Tardis returns the Doctor to another planet is immediately followed by another story where he returns to another planet he's visited before. No prizes on offer but if you can identify the planets and stories in question reply bellow or on Facebook! The difference between Galaxy 4 Episode 3: Airlock' 11.3 million viewers and this episode's 4.5 million is 6.8 million which is the second highest of any season of Doctor Who. 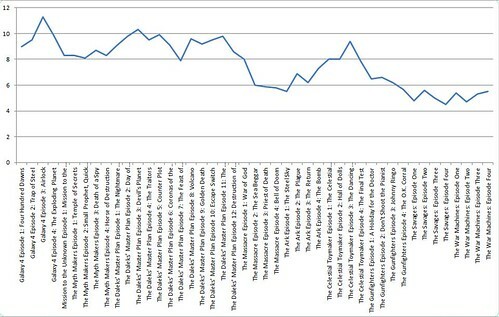 The biggest difference occurs in season 17, but there the highest viewing figures are artificially inflated by ITV being off air due to a strike! The Savages was novelised for Target books by the author of it's screen version in 1986. 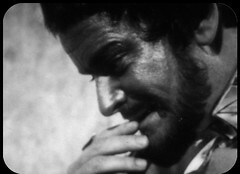 No episodes of The Savages currently exist in the BBC archives, though in recent years the possibility of a set surviving in Siera Leone, the last country to screen them, has been frequently mooted. While I don't think it will come top of any fan's "want returned to the BBC list", especially while there are Dalek & Cybermen episodes still AWOL, there is a certain something to this story and I'd love to have the opportunity to see it. 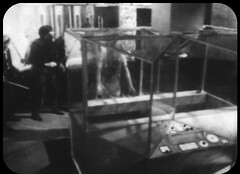 A number of clips from this episode, and a couple from the previous episode wrongly identified as being from this, are in existence due to being recorded using an 8mm film camera. These include the Doctor in the caves, wrecking the transference machine and Steven's departure. You can see them on the Doctor Who - Lost In Time DVD. In addition a complete set of telesnaps exist as does the soundtrack which has been released individually (how much ????) and as part of Doctor Who: The Lost TV Episodes Collection: (1965-1966) No. 2.